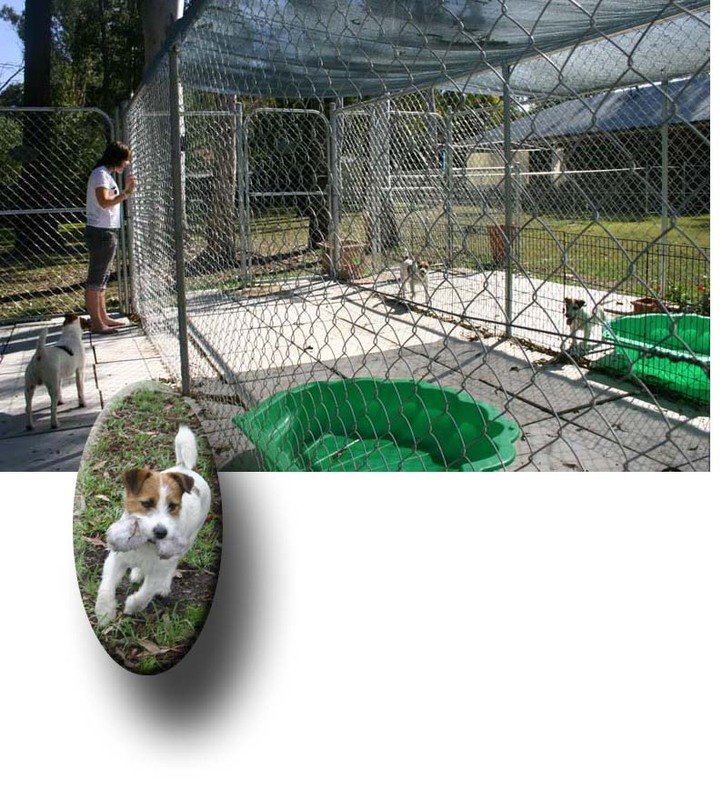 Our kennels have been constructed from 6 foot chain link on cement blocks. 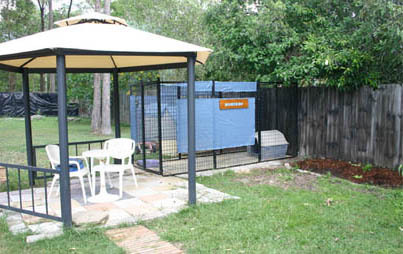 Each have large individual all-weather day houses and summer swimming pools. The garden has been carefully selected with growing plants that will repel bees and mosquitoes. Shadecloth provides protection from the summer sun and we have recently added a new pitched roof. The dogs have many wide areas to exercise in. 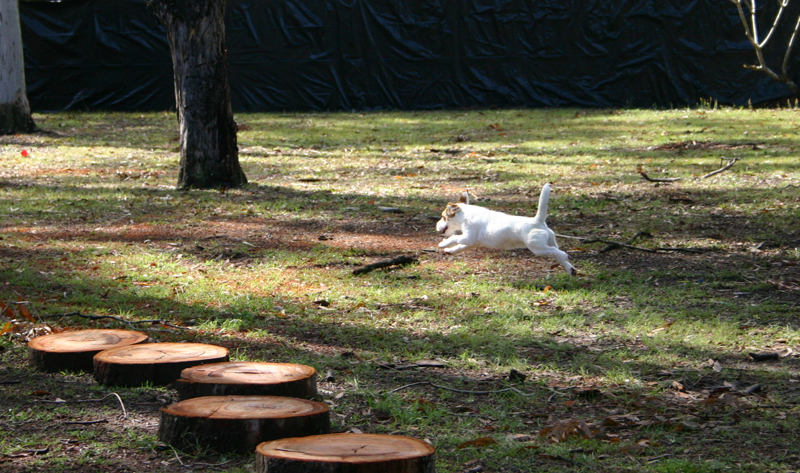 They love to get up to top speed, romp, play and explore their wooded surroundings. Because of the cane-toad situation in Queensland, our dogs retire for the night inside the main house where they enjoy being part of the family.